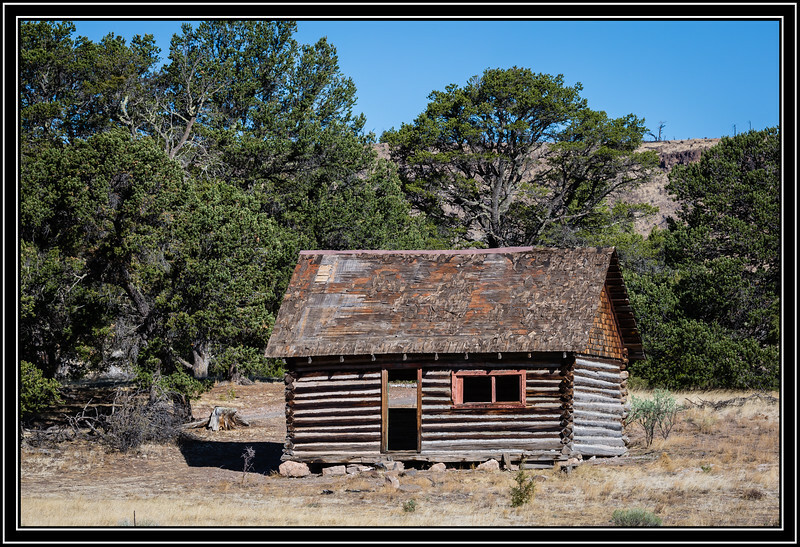 Springerville, AZ - The Arizona Game and Fish Department purchased the White Mountain Hereford Ranch, consisting of 1,362 deeded acres and renamed it to the Sipe White Mountain Wildlife Area in 1995. The property is located in east-central Arizona approximately seven miles southeast of the towns of Eagar and Springerville. When this was a working ranch this was probably used as a Line Shack. You did a superb job capturing the details in this log cabin. Interesting find, they certainly don't build them like this anymore !! Great little find. It looks like the wall are still pretty strong, but I don't think that roof will last much longer. Great to see these old buildings that still remain as evidence of times gone by. Terrific composition...I've been through Springerville a million times, but never knew about this place!